According to Digitimes Research, smartphone shipments for the third quarter of 2015 rose 7.7% year-over-year during the period. That means 331.9 smartphone units were shipped from July through September. Sequentially, the gain amounted to 10.5% from the second quarter. For the current quarter, the research arm of Digitimes expects shipments to reach 396.8 million phones. That would be a 20% gain sequentially, and a 10.1% gain year-over-year. If that forecast is correct, for all of 2015 smartphone shipments would hit 1.326 billion units. For the third quarter, it was Samsung and Apple still numbers one and two, respectively. Sammy was responsible for 25.6% of smartphones shipped world-wide during the three months, while Apple was next with 14.5%. Huawei captured third with its 7.4% slice of the smartphone pie. Lenovo (4.8%) and LG (4.5%) had a close battle for fourth and fifth place. Xiaomi's 3.8% share of the Q3 global smartphone market placed it sixth, followed by BBK (3.5%), TCL (3.3%), Oppo (3.2%), ZTE (2.5%) and Sony (2%). Microsoft's 1.7% share placed it 12th. The rest of the top 15 included Meizu (1.7%) Coolpad (1.5%) and Asus (1.4%). When you talk about Samsung, your thoughts usually go right to its latest flagship phone. Currently, that would be the Samsung Galaxy S6, images of which you will find below. it could be extremely interesting to know annual selling volumes of S6 and Edge phones. +1 to this. Some people just don't understand what "personal preference" mean. @Maherk You do have a point, but I'm afraid that your point is rather moot... Can you show me statistics of flagship smartphones sales of Samsung, LG, HTC, Sony etc??? I don't think so... The majority of the revenue these companies generate come from budget basic & affordable phones, trust me on this one. If Samsung's flagship S Series is going so strong, why not Samsung just ditch the rest of the phones and focus its R&D solely on its flagship? Why Mr. Sammy is rolling out dozens of models each year? The last paragraph gave me a facepalm!! I hope someone answers this well..
GreenMan clearly never looked at the smartphone market share break down by price teirs. Low, mid, and high end or flagship devices. Low end is under $200, mid range is between $200 - $400, and flagship is considered above $400. So just looking at prices alone Apple is always in the flagship range even when they sell an old iPhone 5s. Now as far as Android is concerned users have price competition amongst other OEMs, something that is impossible with Apple. You want an Apple device then you just have to bend over and let Apple give it to you. Because you don't have a choice when it comes to pricing. You pay what ever Apple wants if you want to be in Apples camp. So its real stupid on your part to say that Apple could capture 75% of the market. Since Apple controls every aspect, from the app store to the hardware, to the OS. Android is very open and lets any OEM use Android, and this is why there is competition, and NONE for Apple. Here's one reason: If you focus on 1 product and it doesnt do well... then the company doesnt do well. Where as if you have 5 products in different markets, even if 1 doesn't do outstanding, others can pick up the slack. One amazing player can't carry the whole team. 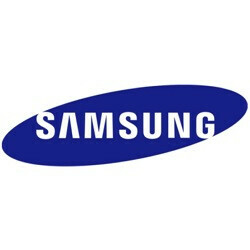 Samsung sells 300M smartphones per year since 2011. It has already bee confirm that at least 1/3 of those sales are typically the combined sales of the Galaxy S and the Galaxy Note. The S alone since the Galaxy S III which sold 50M+ by itself, has sold more than 50M+ each year since. Even the S5 sold closer to 70M+, though Samsung expected 100M+. The Note since the Note 2, has sold at minimum 40M+ since the Note II release. The Note 3 sold 50M by itself. It is very safe to say both the S and the Note sell 50M+ each. What proof are you looking for? Like Apple, Samsung doesn't give specific numbers for each Galaxu device, nor do they need too. But I would also like to know how well all combined sales of the S did for this year. They would need to allow manufactures using iOS to remove a lot of the limitations power users associate with it, that will never happen. One day they might allow manufactures to use iOS but they will still have an iron grip on what it can do. Not if iOS would have its present limitations vs Android. Spamsung are on top after attacking every conceivable price range in the global smartphone market...surprising. they need to lower their prices more & more to compete and to survive! Compared to Apples pricing they're still doing fairly well, they're done well to handle the ever increasing competition in the Android Market. Apple have reaped the rewards from increasing the display size but they need to do something new next year, it will be interesting if they can actually come up without anything new. Probably Retina HD or something equally stupid. Forcetouch is a gimmick, I'm not looking forward to that on future Android devices. Gaming generally needs instant response, especially the kind of games I play, introducing 3d touch will only add a delay and of course a level and complexity which isn't needed. The first time I used the iPhone 6s, I couldn't figure out how to use 3d touch at all, it's not intuitive and definitely not natural. I had to use Google to figure it out and even then just felt gimmicky, just reminded my of Samsung's air touch which had equally useless features in certain apps. Samsung's Air Gestures is not a gimmick... It's important for those who have a handicap or disabilities. Someone without a second hand can shake his head to scroll and navigate a Samsung phablet with his sole hand! Can't say much about 6S, i'm inexperienced with 3D touch. 6S still nowhere to be found at Apple authorized seller in Indonesia. Wish it's As for air view, it's a nice to have it's not bother me with how i interact with my device nor it'll create any kind of delay but it's very very limited and i think 3D touch might be better implementation of these feature. Do you use an applicator, or do you just get your finger deep in there and spread it on? Don't you mean 331.9 million?